Overview of origin, approximate location and condition. This is only KNOWN and verified vehicles. There might be more of course. Captured from Ukraine in the beginning of ATO (See this Youtube video). Located at Slovyansk. Initially one captured from the Ukrainians, but later destroyed. Received new ones from Russia. Recieved from Russia. One was lost in an attempt to rain havoc on a village and blame the army for it. One seems to be in Kramatorsk right now. Crossed the border on June 12th. Located in Donetsk. See this report and this one. Crossed the border on June 20th. 2 tanks and 2 BTRs went to Kramatorsk/Slovyansk. Some operating from White chalk hills. Captured from Ukraine at Metalist on June 17th and revived. Located in and around Lugansk. See report here and here and here. First seen in Perevalsk on June 25th. Must have crossed the border independently from June 20th crossing. Destination unknown. If you have any verifiable information about where they are, whether they are destroyed or whether new vehicles arrive, please let me know. It is a BRDM-2, an amphibious reconnaissance and patrol vehicle. 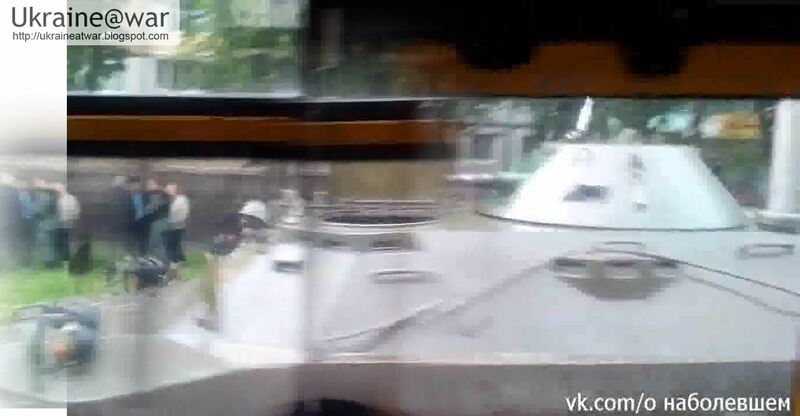 If it is spotted in Siversk on June 20th, it may have traveled back to Donetsk, because some tanks arrived at Siversk. Question remains: where did it come from? UPDATE June 27th: (pro)Russians lost two and got at least three tanks. 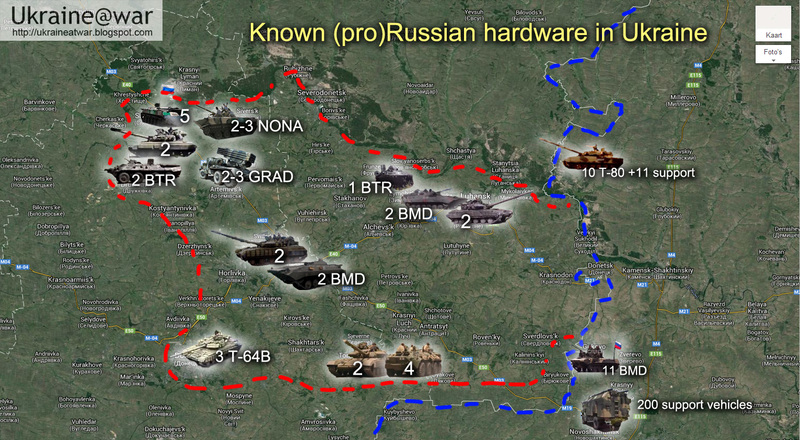 Also see: Russian armor movements close to Ukraine's border. Thx, changed it accordingly. But total was 6, wasn't it? 5 BMD + 1 NONA. BTR-D is essentially BMD-1 without a turret, and NATO classifies it as "BMD M1979" hence is the source of confusion.